Anthony Martial is reportedly close to signing a fresh five-year deal with Manchester United, extending his stay at the club. His youth combined with the added years at Old Trafford will mean that one way or another, he will certainly stay longer than Alexis Sanchez at the club. As of such, the no.7 jersey now seems destined for him. In fact, he may finally be the answer for United’s lack of a proper talent to house that aching gap, with Owen, Valencia, Di Maria, Depay, and now Sanchez being unable to impress over the years. It appears apt that the number that no player has been able to ape properly since the departure of Ronaldo should be given to a talent that has already worn two separate shirts with the Mancunian giants. If Martial is indeed secured for the long-term, then it seems all but certain that Alexis Sanchez won’t stay at the club for too long. His entire tenure so far has been disappointing, to say the least, and the wage package he makes is already causing problems at the side as other talents have begun requesting parity with the figure the Chilean makes. 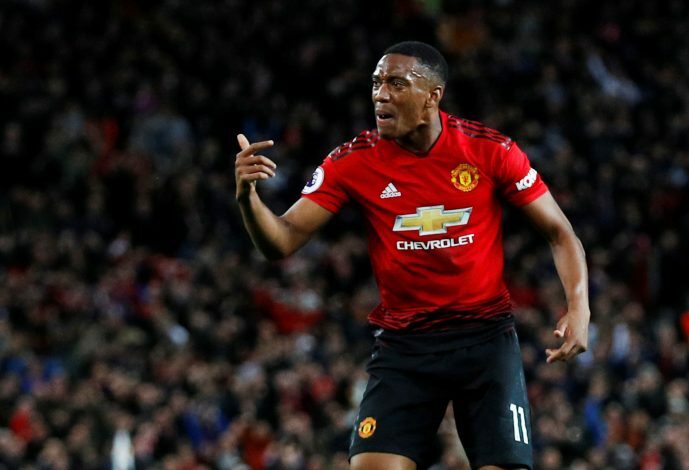 Already Martial has established himself above the former Arsenal and Barcelona forward and it the day may not be far when Old Trafford bids Sanchez farewell. The London clubs have been linked with the Frenchman for quite a while. Right from the time that reports claimed that he wasn’t satisfied with the way Jose Mourinho was treating him, it was believed that these two sides would try their best to acquire his services. These rumors persisted even after the sacking of Mourinho and the clubs may even have been trying to land him for free once his contract ran out. If he does sign on, those ambitions will be put down quite strongly. Consequently, United will finally stop being linked with Willian. The Chelsea forward has been on the reported transfer wishlist of the Mancunian giants for far too long, with Martial’s uncertainty factor often being cited as the biggest probable reason. Now, what Mourinho’s sacking weakened will definitely be crushed by Martial committing his future to United for the long-term. 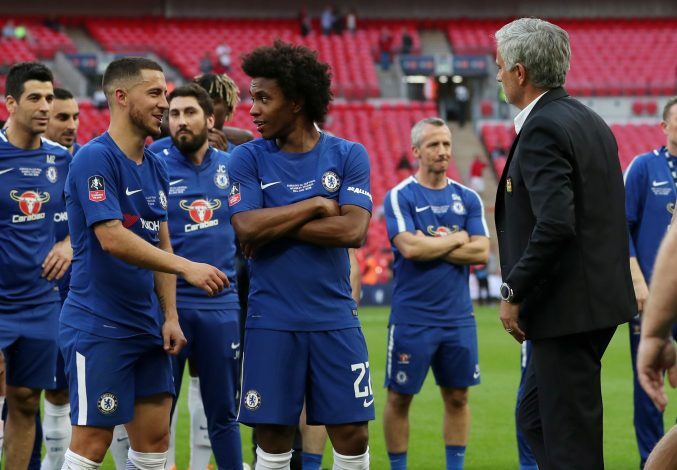 Besides, with Willian rapidly living out his prime, several United supporters will be pleased that the youthful potential of Marital was trusted upon instead. While Louis Van Gaal’s time at Manchester United has often been cited as a disaster of clashing philosophies, buying Martial from Monaco at a tender age may be the most impactful stroke of the gaffer’s tenure. In fact, back then itself the Dutchman had confidently stated that he was signing the young Frenchman for the future of the club and that he could be developed even further, justifying his usage of him as a winger and not in the traditional striker role that Martial formerly functioned in. Spot on decision in hindsight. It isn’t too wishful to consider that the club will now use the Martial deal as fuel to complete the other pressing contractual sagas as well. Despite having activated the 12-month extension clause, David De Gea still remains a player that the club needs to pen for the long-term. His antics against Tottenham certainly showed why he is needed. 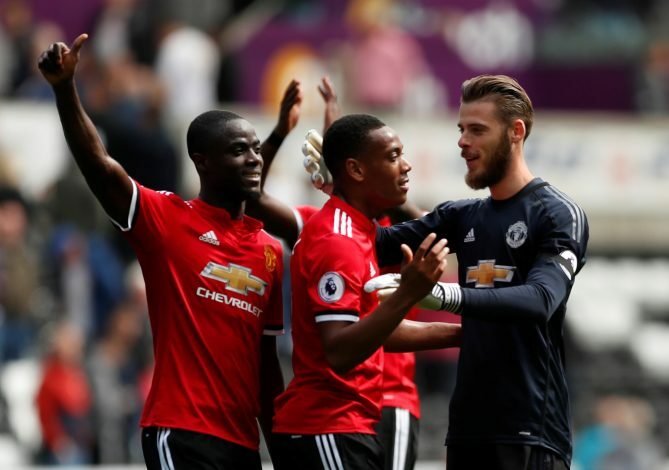 Now, they will be hoping that the change in dynamics and the steady run of good results coupling with his teammates signing new deals will also spur De Gea on to negotiate a long-term future at Old Trafford. The sheer amount of criticism that Martial attracted during the early days of his time at United, solely due to his pricetag, will now be laughed at. United fans can jubilantly continue chanting those words to the media for years to come and laugh at their folly. No player at Manchester United has been directly involved in more goals than Martial since his arrival at the club. By granting him a new contract, the club has outright stated the sort of confidence they place in the youngster. It seems a given now that his iconic cut-ins will continue to please Old Trafford and perhaps his runs will make their way into the hallowed history books of the illustrious club.